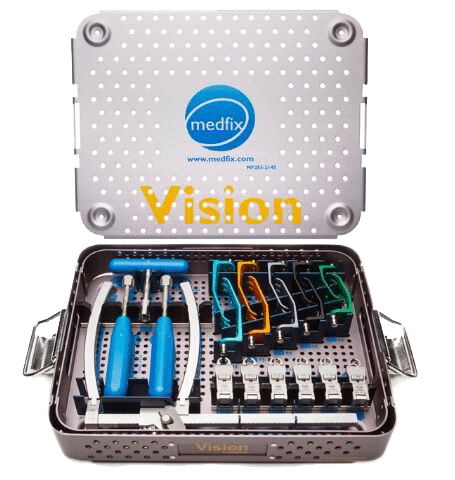 Medfix International, LLC was founded in 2005 as a response to the great demand for affordable surgical equipment, devices, and supplies. The company realized that this necessity was two-fold: provide affordable cutting edge surgical technology to those who need it, but, more importantly, ensure quality and service in order to help our customers succeed. Available products offered by Galen Medical include general spine surgery instruments and devices with a focus on cervical and lumbar spine instruments. Medfix retractors are specifically designed to assist the surgeon in accessing the surgical site in anterior and posterior cervical or thoraco-lumbar procedures. In addition to more traditional retractors, they also offer tubular-style and MIS retractor solutions.